Celaya is one of several phone books that cover the Mexico state of Guanajuato. The Celaya Phone Book contains both Yellow Pages and White Pages. 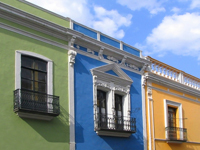 This directory lists many cities in this area of Guanajuato. Several other telephone directories cover the state of Guanajuato such as the Guanajuato, Irapuato, Leon and San Miguel de Allende Phone Books. in Celaya with the Celaya Yellow Pages and Whites Pages.